Educators collect and use data on a daily basis to make decisions about how to improve teaching and learning. Yet it’s not enough to simply use data in decision-making; the data used must be sound, interpreted and used appropriately. A new guidance document aims to help educators, policymakers and other education stakeholders use federal funding—now available to states and districts through the Elementary and Secondary Schools Act (ESSA)—to improve data use to drive equity and successful learning for all students. The University of Washington College of Education’s Susan Nolen playing a key role in creating the document. Nolen, a professor of learning sciences and human development who is one of several leading assessment experts to serve on the National Task Force on Assessment Education, said the new report “ESSA and Assessment Literacy: Serving the Education Ecosystem” provides guidance on how to leverage ESSA to improve assessment literacy for teachers, parents, students and administrators. In the following Q&A, Nolen discusses the new report and what it means for education stakeholders in the years to come. Why is assessment literacy so important to improving student learning? Assessment is a process of gathering information and using it to inform decisions. Educators use assessment processes and data every day to make decisions that affect the lives of students and their families. This means that assessment literacy for educators, parents and students across the education system is an issue of equity. Effective teachers are constantly assessing students’ learning and behavior, using this information to adjust lessons, push students harder, or provide more or different opportunities to learn. This kind of “assessment for learning,” done well, has a clear positive impact on student learning and motivation. Students get the kind of information they need to improve, seeing progress and taking pride in their accomplishments over time. Done poorly, assessment can defeat even motivated students by providing little usable information, being used to stigmatize students or their families, or recreating inequitable access to programs. Beyond the classroom, poor assessment practices can block students from access to the enrichment activities or instructional programs they need to thrive, achieve and continue their educations. Few teachers receive support for creating equitable and ethical grading systems, for example, which can lead to systems that punish and discourage students for learning at a different pace or for making mistakes while learning. Students are assessed on their behavior, too, and better assessment practices using reliable information appropriately can reduce disproportionate disciplinary actions, providing useful information for addressing issues without removing students from opportunities to learn. What are a couple of the most important things states and districts can do improve assessment literacy? Providing teachers and administrators with the resources, time and training to use assessment for learning well could do much to improve instruction and learning. In addition to assessment for learning, teachers and administrators need to be able to interpret standardized tests, understanding their uses and their limitations. Teachers and administrators need time to examine student work, discuss their findings, and plan collaboratively to improve instruction or identify unmet needs. States and districts can leverage ESSA funds to do some of this important work. We developed the ESSA guiding document on assessment literacy to provide concrete suggestions for using ESSA funding to address this critical need. What can schools of education do to ensure educators are assessment literate? Teacher and administrator preparation programs can do more to prepare educators to use assessment data and assessment practices well. 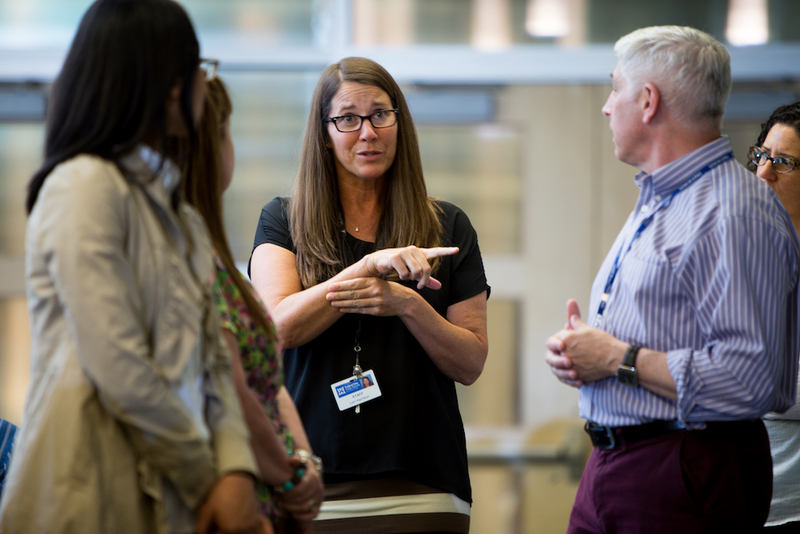 In the UW College of Education’s secondary teacher preparation program, for example, student teachers learn to use assessment in a variety of ways to inform their teaching and improve student learning. By integrating coursework with their student teaching in schools, we help our students learn to design, use and interpret classroom assessments, and to communicate those results to students and their families. The Task Force’s website (assessmentliteracy.org) provides resources to schools of education, districts, states and others who want to improve the ethical and valid use of assessment processes in education. How could ESSA play a role in helping teachers and school leaders become more assessment literate? States can use ESSA to provide guidance and financial support for district efforts to increase assessment literacy. These might include help with designing innovative scheduling to provide time for principals, teachers and students to use assessment data, support in developing sound building-wide assessment practices, and support for audits of current assessment practices. It is more than a matter of training, it is also a matter of structural supports and barriers to implementing sound assessment practices. It is especially important for state and district leaders who make important policy decisions that affect students and families to base those decisions on the right data, collected and interpreted with a clear understanding of ethical and valid assessment practices. ESSA is one tool that can be used to do this.